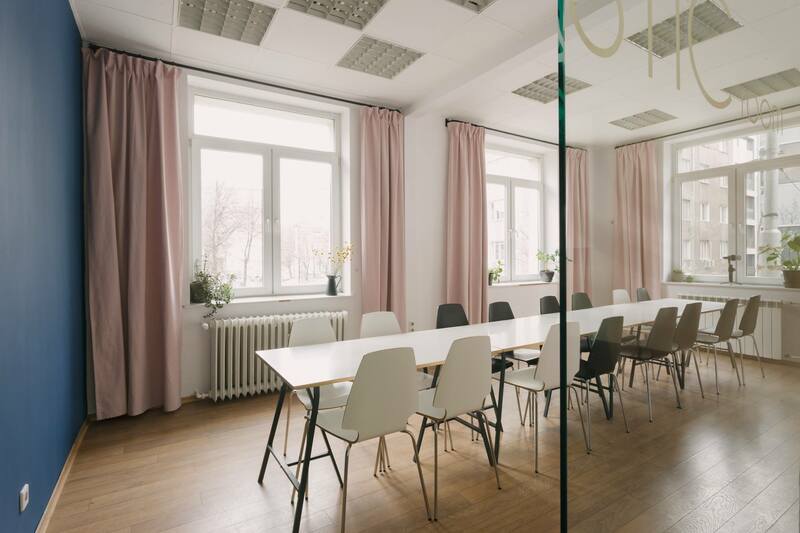 It’s that cozy creative coworking space that you’ve been dreaming about while wandering and wondering how to combine your work duties with the discovery of Sofia. It’s dedicated to digital nomads from the creative sector and urban art explorers. 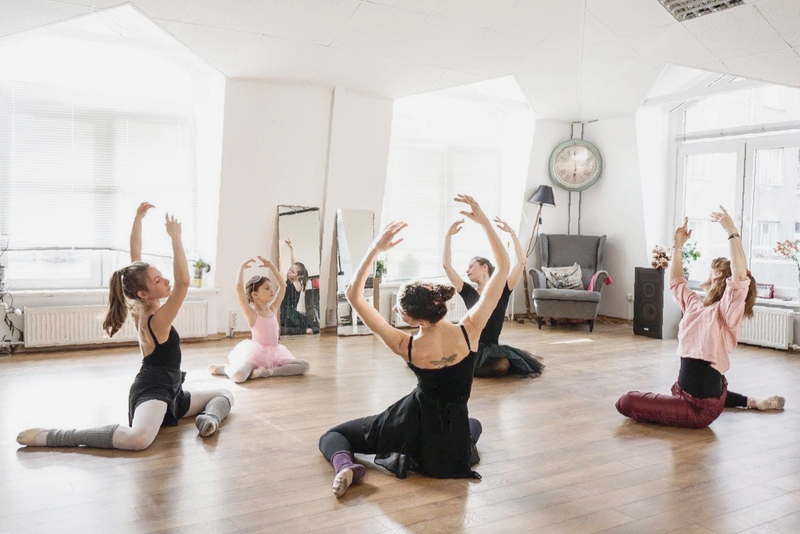 Situated in the very heart of the city, it offers the possibility for a productive workday, garnished with some food for the soul in the shape of an exhibition, concert or among many others a ballet class if you are brave enough. You’ll meet cool people from all over the world and two gorgeous golden retrievers that will add further more to your happiness level. Are you a member of SOHO? The best people - members. The best co-working space in Sofia!! :) :) All thing in one place - cozy, comfy atmosphere, interesting social events, where you can meen people all over the world, seminars, art workshops, personal care and social and community location. The workplaces are really comfortable, modern and calm. The garden is the best place during the summer, where you can work and relax. Kind regards to Vladi, Luba, Joro, Roya, Indie, Cvety and Dipi :) :) : ) : ) I love their social media chanel, their funny pics and the positive vibes. I really like this place!! 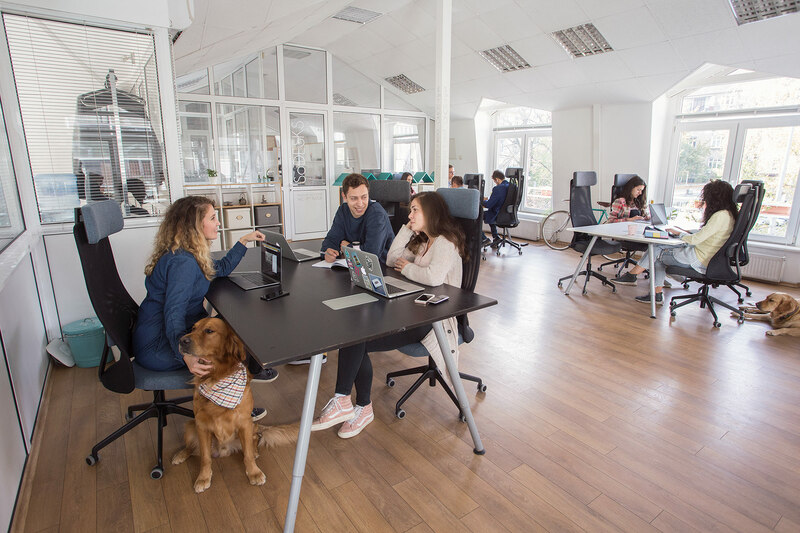 "Become part of a community "
"The best dog friendly co-working place"
The best co-working space in Sofia. 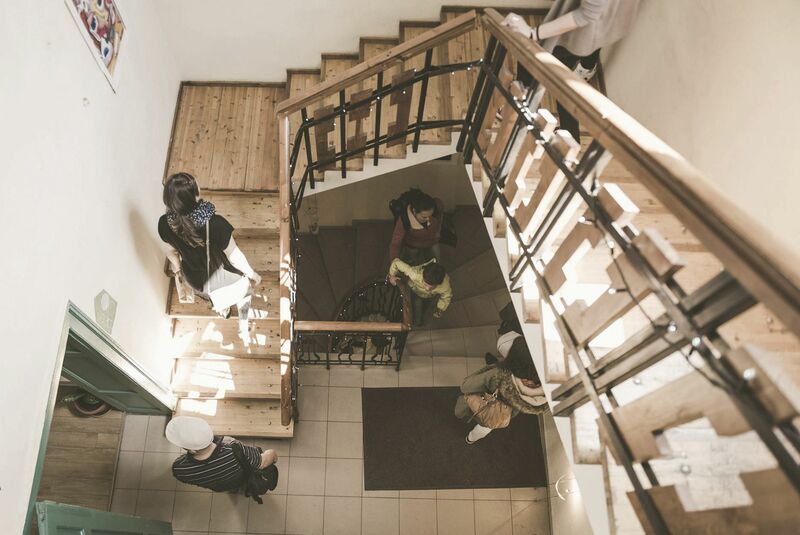 It is located in the city center, just few minutes walk from Serdika metro station. It is cozy and comfortable, you have the ability to work from the garden during the summer. No WiFi issues. Lots of interesting workshops are conducted under its roof. Lets not forget the various exhibitions, regularly the walls of the green house are decorated by marvelous paintings from talented artists. The dogs are fluffy and playful , just lovely. The best place for dog lovers and not only. If you have a dog you can even take it with you. "The coziest place in Sofia"
I spent more than a month in Soho and it was gorgeous to work from there. The people managing the office are nice and the visitors are event better (from very different areas - IT, design, consulting, startups, etc.) The food places around are delicious. Less than 100 m away is the best Italian restaurant in Sofia (the owner is real Italian :) The events in the evening were helpful to catch up with the social life. There is a special events hall, which very often has something interesting where you can spend some time listening to the most hot topics or some artistic escapes. 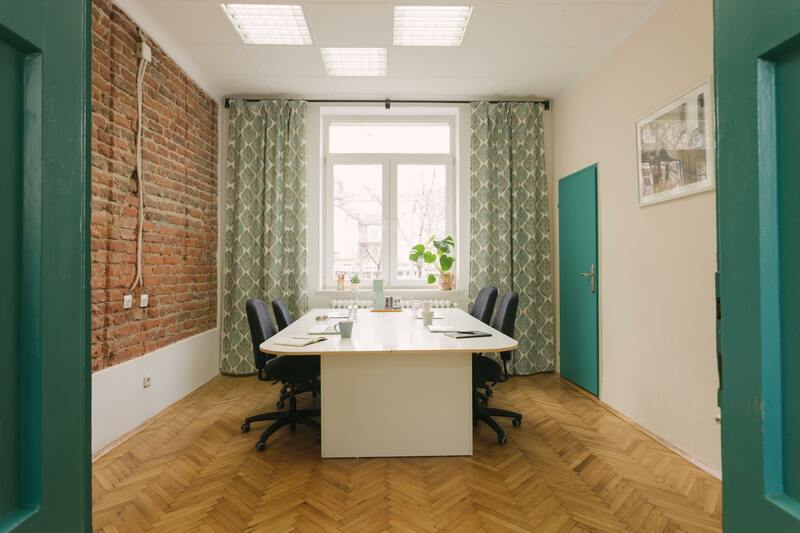 "The best coworking space in Sofia"
As a Founder of a small digital marketing agency, I found SOHO to be the perfect place for my work. It's not too big and you can have a pleasant chat with most coworkers there. The staff is very polite and helpful. They often organize wide-range of events on various topics so it's hard for you to get bored. The location is more than perfect, right in the heart of Sofia, 3 minutes away from the busiest metro station. And most importantly, SOHO's atmosphere is shaped by the 3! golden retrievers who brighten up your day. Whenever you feel stressed out or just want to take a few minutes off, Dippy, Roya and Indie will do everything possible to make you smile and cheer up. I strongly recommend SOHO to anyone who wants to get his work done in a nice and cozy place. 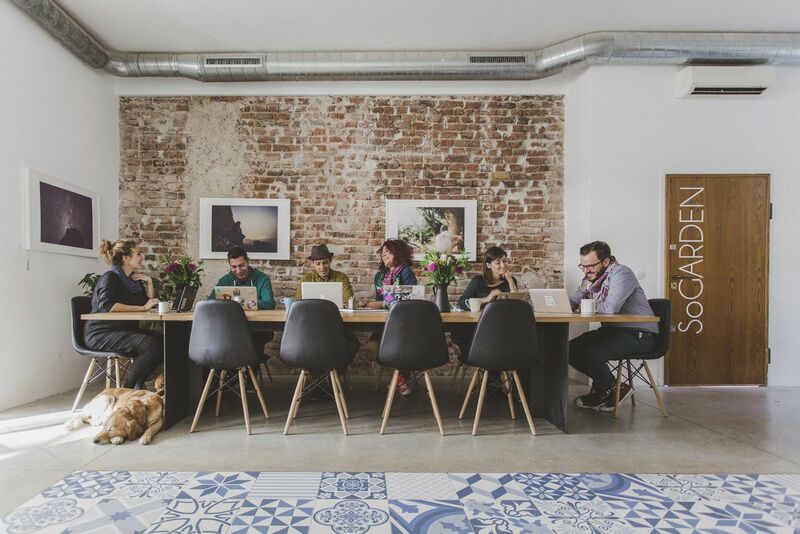 "The lovelies co-working space in Sofia - cosy, warm, artsy soul"
SOHO is more than a co-working space, it's an art house, a generous host for many social events, a community leader, a trend setter where all is done with real care. Really love the atmosphere, the friendly staff, warmth and joy you clearly feel when you are there. This is the first place I check as a venue when I am hosting events and I always love going there for different occasions besides the co-working such as insightful talks, workshops, bazaars, exhibitions, etc. Not to mention the cutest dogs ever <3 Highly recommended to locals and digital nomads from around the globe. "Feels like my second home!" SOHO is the most cosiest, designed, charming and feeling-great coworking spaces I have ever been to. The team is one of the best - always smiling, intelligent, creative people/artists that will always help you and make you feel on the right place to be. I never had a problems with Wifi connectivity. The environment is calm and pushes you to the most creativeness you can have. Community is super strong - I met very interesting people there the last 5 years. 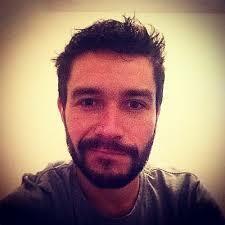 Personally it helped me a lot to re-integrate my self in Bulgaria as I have spend about 13 years abroad. Will always recommend this place! "Where comfort, professionalism, and drive meet inspiration, passion, and imagination"
I ended up in SOHO at a time when I just needed a fast and reliable internet connection, but what I found there was so much more. SOHO is a family. No, not the nagging kind, the loving kind. The kind that doesn't stand in your way, but instead inspires you and unobtrusively helps you do what you yourself have set out to do. All of its family members are the most positive, energetic, dedicated, passionate, and diligent bunch of people I've ever met. This is true not only for the hosts, but frankly for everyone there whom I've had the pleasure to converse with. Not to mention the carefully curated and diverse set of events ranging from arts and music to traveling and exploration which put the cherry on top of this complex blissful mix of the sweetest but also healthiest cake you've ever tasted. It may be hard to imagine that such a thing exists, but it does. It is a truly magical place. "SOHO - my fulfilled dream ♡"
You know, we all have one of those little dreams, the thought of which makes us feel illuminated, hopeful and even enthusiastic. Well, SOHO was this little dream of mine, which turned out to be a big one. :) About three years ago, I found out about the green house while looking for interesting events in the capital. What I remember is that I totally fell in love with their website, with the photos of their team and with the way they expressed their opinion and outlook on life, which reflected on everything they generated. So, if someone is brave enough of follow his dreams, then it's a matter of course to make them come true. I decided to contact them and before I realised, I became part of their lovely team and met one of my true best friends. Two years later, I'm still doing my best to contribute to the meaningful mission of this place. SOHO has changed my life in so many ways, but most importantly - it made me realise that one should think big and love what he does in order to be happy. ♡ thank you for existing! SOHO is the place. The Place. The place where you can work, have fun, pet dogs, enjoy the company of creative people and enrich your everyday life with various activities such as starting the day with a homemade breakfast with your coworkers or enjoying a jazz concert after a tough day. 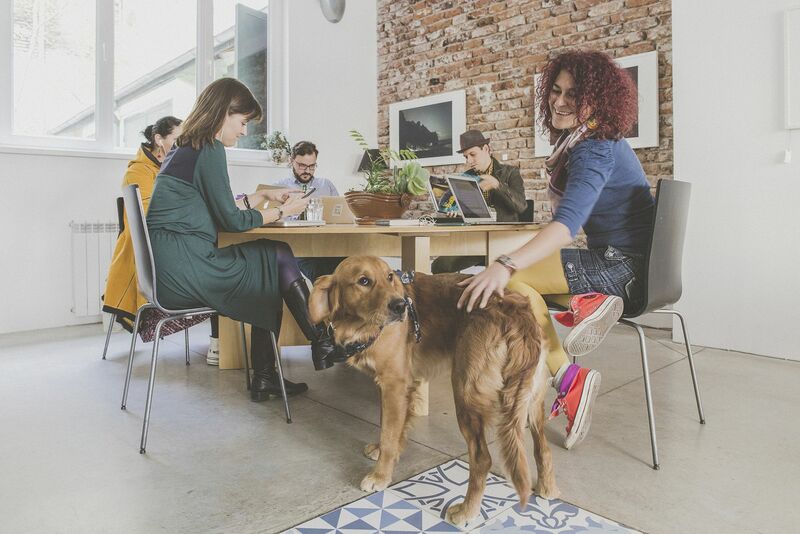 The environment definitely boosts your productivity levels - day light, tempting smell of coffee, cozy working spaces and sometimes the warmth of a dog's eyes. <3 If you are a foreigner searching for a good place to do your things definitely try SOHO. If you are a Bulgarian go for SOHO too! SOHO is rather a family house than a simple co-working place! You easily become friends with everyone and feel like at home when you're there. The atmosphere is pretty artistic with monthly exhibitions and regular bazaars, which are one of the most famous ones in the town. It's located in the perfect center where you can find all kind of things to do, but keep in mind it would be hard if you try going with a car. I love it being a dog friendly place and there are constantly some furry friends around :) If you're a foreigner you can easily find someone from your own country as this place seems to be preferred by a lot of travelers. "Roses are red, violets are blue, SOHO is green, SOHO-I love you! " I had the opportunity to be part of SOHO, even for a brief amount of time. I can't believe how lucky I was to be able to enjoy such lovely and friendly people. The communication was on point, the vibes were extraordinary, the community-amazing. All that positivity is priceless and it's extremely rare to find such a warm and welcoming environment to work and to enjoy it. SOHO has something special that no oder place has, and this is the society. I enjoyed every moment working with them, and I would definitely do it again. Thank you SOHO, love you! "Peaceful , quiet and most productive of all coworking spaces in Sofia"
My experience so far with SOHO is great. I am really amazed that you can find here the productive environment of an office dedicated for your team with the social and community benefits of a coworiking space. I guess that the quiet and peaceful environment accompanied with the pleasant choice of music that surrounds everyone in the cowering zone brigs about the more focused and productive mood that I am having since I became a member. Great people, great experience, most productive environment. I recommend SOHO to all of you who don't want to loose focus during the day but want to meet new and interesting people around your work desk. "Great place to get work done and feel at home"
A welcoming place in the center of Sofia with a creative theme that flows through the space. Very friendly to International guests with the friendly English speaking staff and international clients. Good vibes and good people make it a comfortable space to work in. The flex desk area provides a spot for a day and can also rent a desk for a month. The downstairs meeting room is very good for events, and also the garden is nice in the summertime. But, most of all, it is the community feeling of Soho that makes it a unique co-working spot in Sofia. "Cool place, great people, very affordable. " I had a desk there for a few months. Nothing but positive things to say about it. Great friendly professional staff, great prices, reliable super fast WIFI, nice coffee & very clean. SOHO also have a nice outdoor garden with comfortable hammocks to go and sit outside in the balmy summer months and have a coffee. Location wise it’s perfect, 5 minutes from the main metro station in Sofia. Two minutes away there is a nice park to chill out out. Met some good interesting colleagues there. Overall as shared spaces go this was the best I was in. Thank you! "Cozy place in the center of Sofia"
Its really very pleasant and comfortable to work here in the green house for so many years. Nearby they are many restaurants with delicious food and a lot of interesting places. The public transport is really close to the house. We love to spend time and to work in the garden mostly in the sunny summer days. The location, the coworkers and the dogs here are awesome, we found many new friends here. During the year there are many exhibitions and different kind of events. Our favorite is the SoBazar in the spring and for Christmas. You will love SOHO too! "SOHO – my second home, a second family, my EVERYTHING! " The cozy green house is filled with infinite love, cheerful laughter, happiness and amazing people. Even if you know every single corner, every little cacti and you have been part of its heart, namely the third OG in the last 3 years, SOHO is the place that can still surprise you and constantly make you feel more and more alive, the place that makes you smile, all while magically attracts you to blend in all its glory. Here you can find the people with whom to give life to your next exciting project, friends to walk around with, watch yet another interesting movie or have a drink that’s not necessarily on Friday night! The SOHO team is its soul - people who will give their best to help you with everything they can (sometimes even beyond that) and will make you feel at home. 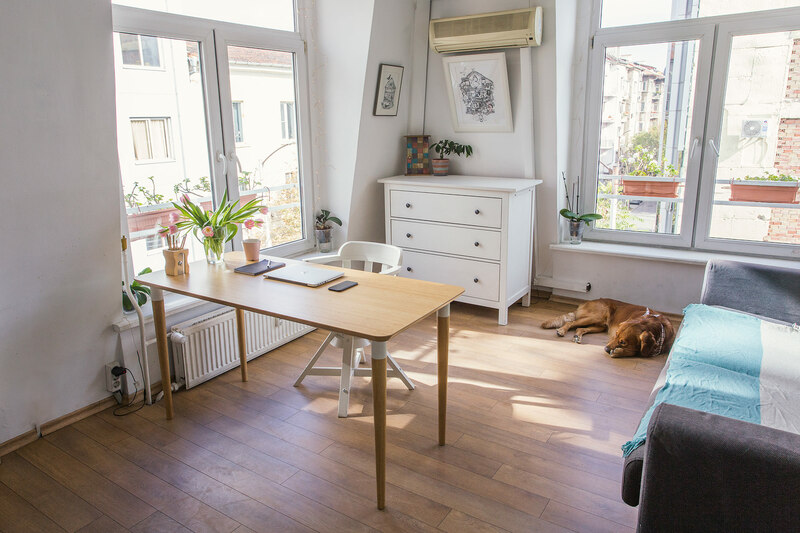 "Coziest place to work from in Sofia"
SOHO is an absolutely charming place and so are the people inhabiting it. There is always something artsy happening too - yoga, ballet, exhibitions, book readings, craft market and many more! 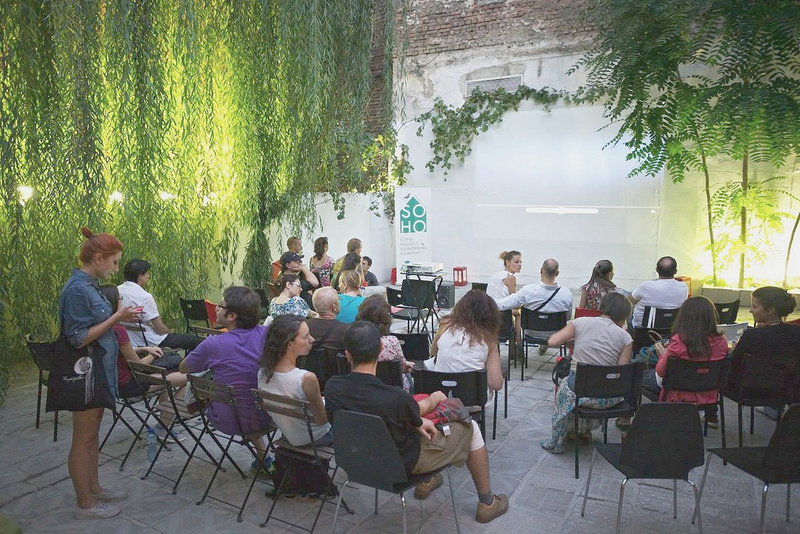 If you want to tap into the friendly, smart and creative community of Sofia - that's the place. 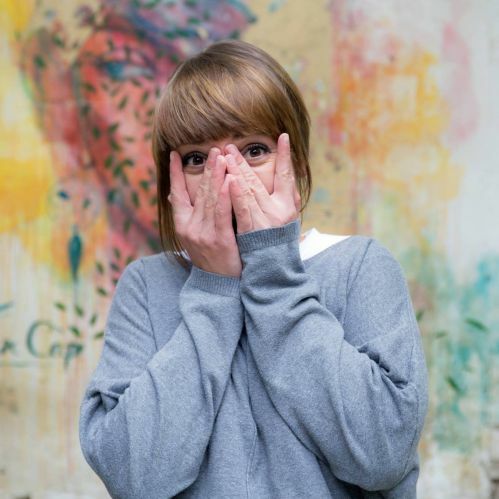 Also once there, look for Luba, she's the founder (read the heart) of the place and apart from being the mastermind of the design and the whole community program, she is an eloquent storyteller and will give you tips and tricks on what to do in the city and outside. SOHO! If I had to describe SOHO in a single word, it would surely be INSPIRATION. As much of inspiration as the white wall that became a home to a stunning painting could be, or that rare moment of inspiration in knowing there is a place where everyone is “your people”. A place, taking its time somewhere in the 20’s, somewhat isolated from narrow-minded people and from low criteria. All the people that you will meet here can be your teachers and supporters of a bright idea of yours. They can also be both your future and be those kind of friends, to whom we may even share a joyful silence. Maybe everyone will say that SOHO is a cozy place, filled with countless ideas and colorful people. Yet, all of this is so obvious, that I won’t be sharing about the coziness, or about the light of that space, nor about its inhabitants. For me SOHO is a heart inside the heart of my beautiful city. A heart, that moves a million good energies and is a meeting spot for interesting and lively people, with whom you’d like to share even the future. SOHO is both hope, and a desirable future. I’ve only been at Soho for a few months, but I already love the place. It is cozy, inviting and it appears to possess the peculiar ability to remain drowned in sunlight even on a cloudy winter day! Soho never fails to lift me up and this is largely due to the friendly and vibrant community inhabiting the place and the amazing staff running it. It’s the only place where I can be productive and relaxed at the same time. It is also conviniently located in the centre of Sofia, less five minutes away from the Serdika metro station. Highly recommended! "A small house with a big heart." T h e b e s t c o w o r k i n g s p a c e i n S o f i a , i t i s c o z y a n d c o m f o r t a b l e , b u t s t i l l k e e p y o u p r o d u c t i v e a n d w i l l i n g t o w o r k . A n d t h e d o g s a r e g r e a t ! Soho is a very special place in the city heart of Sofia. This place offers bright and cozy spaces for co-working, meeting or just getting to now interesting people with different professions and background. I like the brightness of the space – there is plenty of sun light coming through the windows and bringing more energy and positive feelings. The soft interior allows me to concentrate better onto my work. The internet connection is excellent. The place is clean and comfortably organized. In the small kitchenette one can enjoy a cup of excellent coffee or tee or both. There are many events organized within Soho and we can enjoy many interesting happenings: bazaars, concerts, exhibitions, evening courses etc. The Soho hosts are always welcoming, friendly and supportive. They are full with new and fresh ideas about art events or just about how to make the Soho co-workers day more cheerful and pleasant (SoBreakfast, movie nights, concerts, parties). I am happy to be part of Soho! "Couple of hours in SOHO"
Today I was a couple of hours in SOHO, Sofia. It is located in a great place - it is 5 minutes away from Serdica metro station(the main central metro station in Sofia). Meeting rooms are cozy and clean. Also, there is a lot of room for productivity and creativity. There are a cool kitchen and kind team who manages the space. Wi-Fi is fast enough. In general, space is very light and cozy, got enough space for everyone and the atmosphere is so productive and positive. I suggest you try a visit there and you will love it! Cheers! "Feels like home, but productive. " SOHO is not a place, SOHO is a community. Being part of it for a few years now has helped me grow professionally and personally. As an artist I’ve always apriciated creative surroundings and there’s plenty of it, but what’s really motivating is the people. It’s the combination of professionals and the wide variety of artists working together that makes SOHO a very special place. The space is well equipped with all what a freelancer needs. Plenty of plugs,few strong Wi-Fi networks and delicious coffee. On top of everything, SOHO is located right downtown and there are many lunch options along with fitness...just in case. Wonderland exists not only in Carroll's book but also here, between the walls of the Green House. The place and the people are pure magic. It's a lot more than just co-working space - it's a place where you can grow and blossom. It's a place for the soul - art must be felt, not just seen. Find SOHO and enter a world of wonder - they are all great there. I strongly recommend visiting SOHO - it is a magical island in the city jungle, that inspires you to show your best self. Go and see for yourself, you won't regret it. 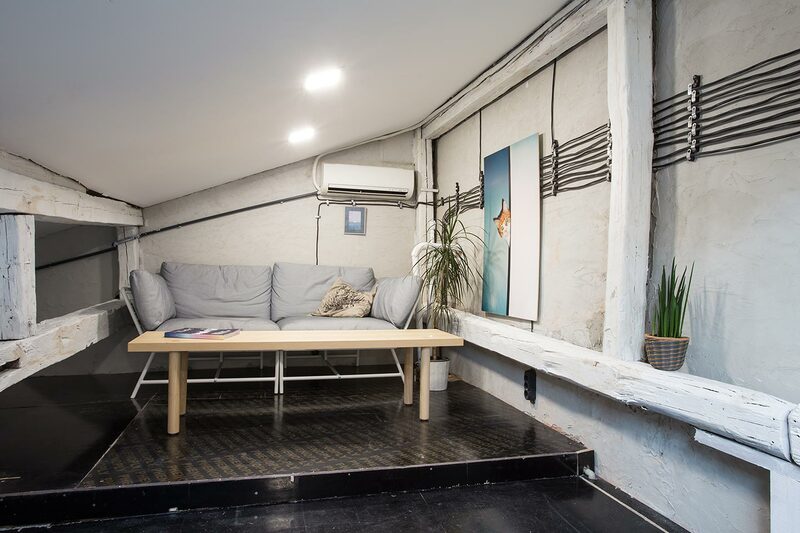 "The perfect spot for digital nomads in the very center of Sofia"
The coziest coworking space in Sofia. You can always find great company (either a professional, a foodie or just a cute dog). The workspace itself is really bright, comfortable, with modern design and artsy touch. The staff is really friendly so you basically become friends after a while. You can enjoy lots of different events for free like concerts, exhibitions, workshops and many more. There are also meeting rooms, a small kitchen with coffee and tea, and a call room so you can have it booked for your calls. Nearby there are few nice places for lunch and dinner so you don't need to go far to find the best food. "Home is where the SOHO is"
Surely the greatest coworking space in town! SOHO provides a comfy work environment and excellent amenities located right in the heart of our beautiful capital. A variety of workspace options are at hand to yield to the desires of any professional. But what truly won me over is the vibrant cultural and artistic community in the green house. SOHO readily complements your work life with a wide array of events to suit anyone's taste - from a colourful exhibition or a live band, or an informing lecture, to a Sunday meetup by the BBQ in the garden. And all this lit up by the smiley faces of the SOHO team, a band of dynamic young people committed to their inhabitants' comfort and success. They've been a true inspiration for me over the past 5 years. You'll have to live it to believe it. "A single night - a lasting memory"
I am living outside of Sofia, but I was in town for a few days. I had the luck to stumble upon this so-called coworking space - SOHO. I wasn't there for the working side, but more for the "social". Back then I was attending a night live concert type of thing and I can tell you a few things. It was simply breathtaking, and not only for the surroundings in all their beauty and finesse, but for the entire atmosphere, to which the people and especially the band performing contributed. A night of sweet talks, cheerings and music echoing through the walls of SOHO, the neighbors' houses and most likely the history of this place. I look forward to visiting again, of feeling that alive again - being SO out of the ordinary. "Cozy garden and friendly community"
"Greatest creative hub in Sofia"
I have been in SOHO only once, yet I am certain I will visit it again in the future. I was invited to the SoBAZAAR, which took place in December, last year. Words cannot describe the atmosphere in the building the moment I entered. Everyone was enjoying their own personal moments that they shared with each other, and creating an unique experience for themselves and having tons of fun and cheerfulness. At one moment, while I was speaking with one member of SOHO's team, I completely forgot about my stressful daily grind. I am sure that he was giving his best to provide the visitors with all the coziness they can expect from such a lively building at the center of the capital. I highly recommend visiting SOHO to anyone daring to get a glimpse of real freshness. ""Heart" - Place you will leave part of your heart"
SOHO is the green house you will fall in love at first sight. The place is located in the perfect city center. The team, or more accurately the family which they are, surrounds you with so much care, attention and in the same time it leaves you to be lost in your own work. They are always ready to help you with anything you need and to make you feel as cozy as you are at your home. SOHO has a wide range of cultural, social and professional events, which make you wanna stay there day and night. Let me reveal you the pinch of magic in the place. These are the two most adorable and lovable dogs in the world, they make you smile and unconditionally loved. The green house is the place I come back every time as I left part of my heart there. If you have an opportunity to visit the place I bet you will leave also a part of you there. 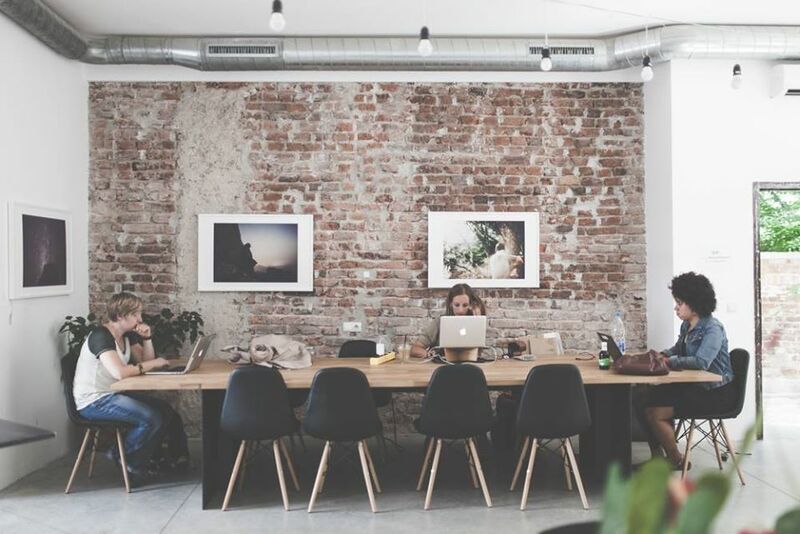 "The coworking space where you feel at home"
I had the pleasure of being part of the SOHO team and I can honestly say there are few places made with so much love and passion for the details. A place where you can really thrive weather your field is business, technologies or art (or all of these). You can do pretty much everything there - focus on your work, meet your clients/partners, relax after a hard day or find inspiration with the amazing SOHO family. 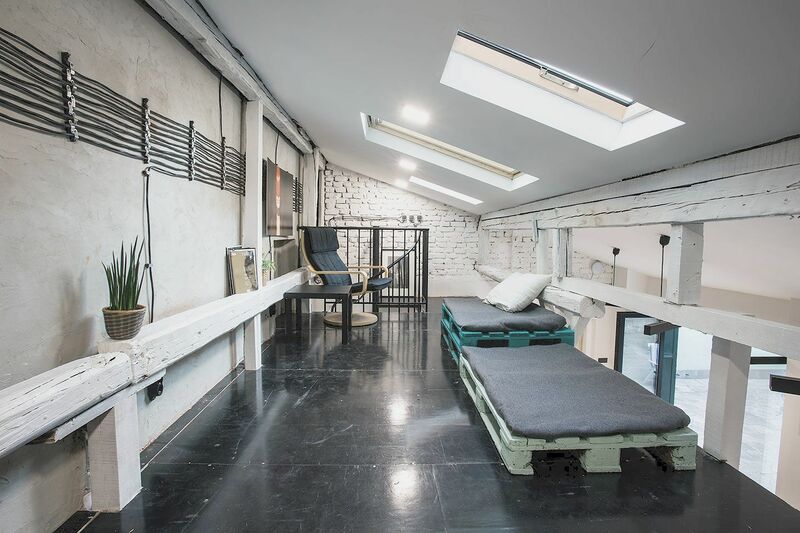 The location is perfect - right in the center of Sofia with plenty of stuff to do around and multiple transport connections . Enjoy! I've had many different interactions with Soho and its team. Each time it's been a pleasure. I've held an exhibition there, have been part of their regular bazaars and they've been kind enough to let me use their beautiful, spacious, light-flooded upper floor space to shoot my crowd funding campaign video. 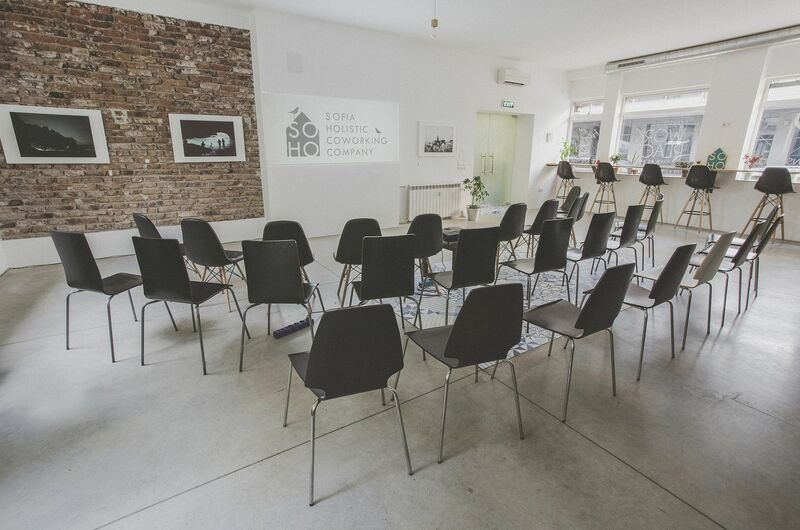 Apart from being an excellent coworking space in the heart of Sofia, Soho has established itself as a supportive platform for local artists, so much needed and appreciated. Their events calendar takes the pulse of the creative community of Sofia and Bulgaria. And did I mention they even have ballet classes for young and adults classic dance aspirants? 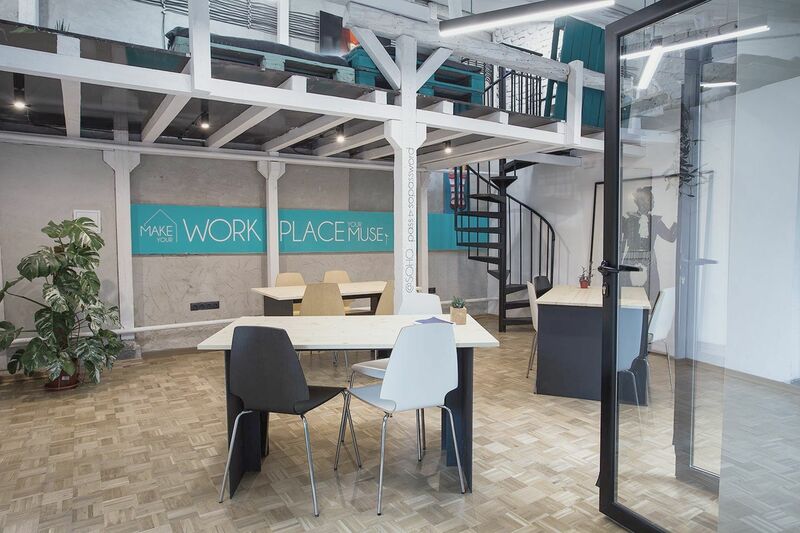 If you're looking for a place to work from in Sofia or even just to hang out - you should start from Soho! SOHO is a downtown gem! It's been my home for 2 years now and I <3 it. It is a perfect mix of rustic and modern that has great atmosphere. Is always full with nice art, interesting events and inspiring people. The team is very responsive to all requests and are great at organizing in house events like breakfasts and movie nights. There is a nice kitchen corner with a great coffee maker as well as a shared fridge and cool shared mugs. The garden is a lovely place to work from in the spring and summer time (and there is even good internet connection there). 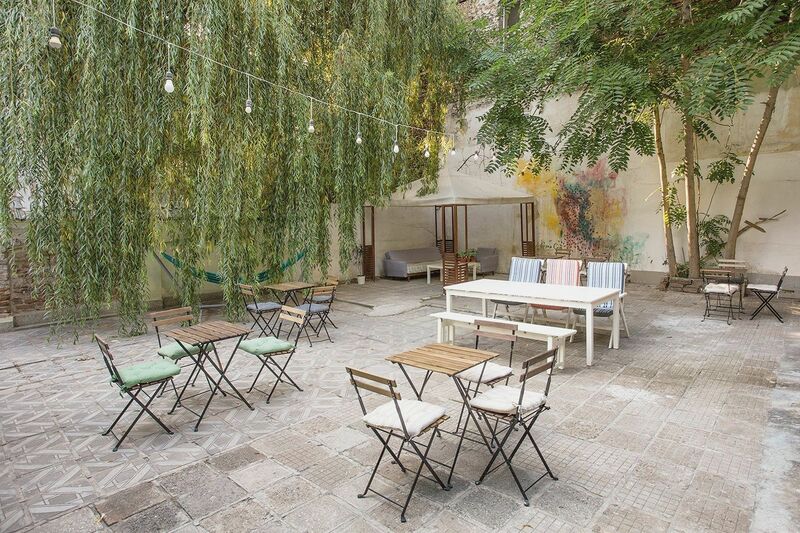 "SO art, SO friendly, SO in Sofia"
SOHO is a wonderful space in the heart of Sofia. 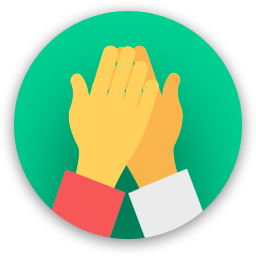 I contacted them to ask about office there and rates and they were very welcoming and friendly. A year after that SOHO is like my second home. What I really love here is the art and cultural program and all social events (and the 3 retrievers sharing their business with us :) The wifi connection is perfect and they have all the facilities you would expect or need. The people are friendly and quiet, respectful of the work space. The location couldn't be better- so many landmarks, awesome cafes, bars, restaurants to take a break in or grab a bite and drink after a long day. It's SO easy to love it! The coziest place, the sunniest people, the loveliest dogs :) An unique combination of homy atmoshpere, friendly people and shared experience. I love going there to work on my projects and spend some time in the pleasant company of the SOHO family /dogs included/. I can't but adore the artistic, cultural events that SOHO brings to us. SOHO bazaars are my favourite bazaars ever. One can go there to enjoy beautiful pieces of art, tasty treats, good wines and beers, meet cheerful people and listen to great music. I do love the fact that SOHO supports lots of meaningful projects related to sustainability and charity. You guys rock! "Awesome place for awesome people"
Soho is easily the best coworking space I've ever visited. It's located at a very central, yet quite calm and very easily reachable area close to two two metro lines, tram lines, a small cinema. The interior is top-notch and feels human. The team obviously loves great visual arts: you can see paintings, sketches, photos, graphic design and what not all over the place and they always fit together... It makes for a great working atmosphere, which has a soul somehow. It's very important for the thing that I'm doing - which often involves meetings with stressed-out, smart people - to have a vibe where you can easily relax, feel good and focus on your thing. Team is great, too. Super nice and flexible. They are doing their best to meet the specific needs of every inhabitant, always there when you need them. Lovely green house with unique homey atmosphere in the very heart of the city center. The team, or more precisely the big happy family, managed to transform the workspace into a cosy and inspiring place with friendly environment. 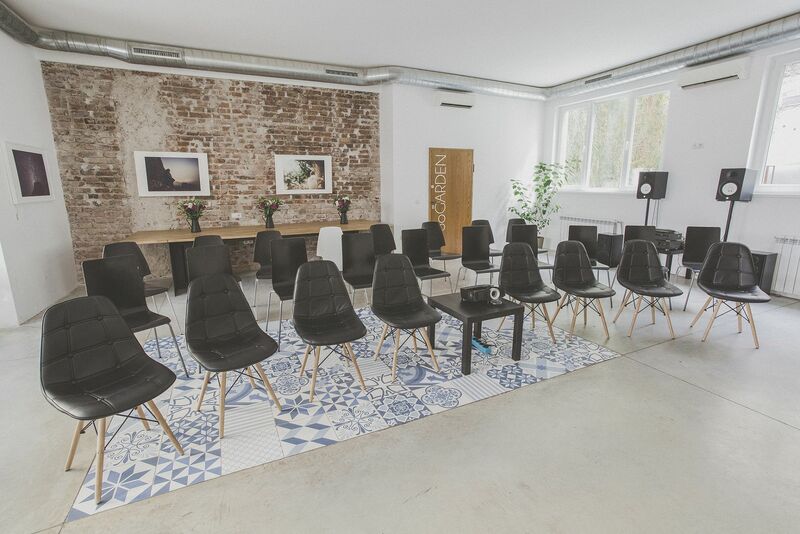 Apart from the coworking, it's a great event venue and has a wide range of cultural, social and professional events, which makes it even more diverse and dynamic. And here comes the best part - two adorable dogs, bringing golden fluffiness and unconditional love to all of the guests and inhabitants. If you end up in Sofia, make sure to check it out! I adore this place. It all coincides with my ideas about co-working space. Co-working space? Soho is so much more than that, really!! I like the staff - Vladi and the new members - Interns. I met wonderful people - Michaela, Cvety - you are awesome. Luba, Galya, Joro.... wonderful people. I love when I get on the third floor to work and I'm greeted by my favorite dogs - Dipy, Indy and Roya (Dogs, sorry if I don't write your name corectly:)))). I'll make it up next time with a sweet treat, I promise! Thank you for this cozy and amaizing place in Sofia! The place is nice, clean and quiet. It is located to place with a lot of public transport and paid parking. The holders often make nice events and there is always some exhibitions in the hallways which makes the stay very pleasant. There is a safe place to keep your bicycle. 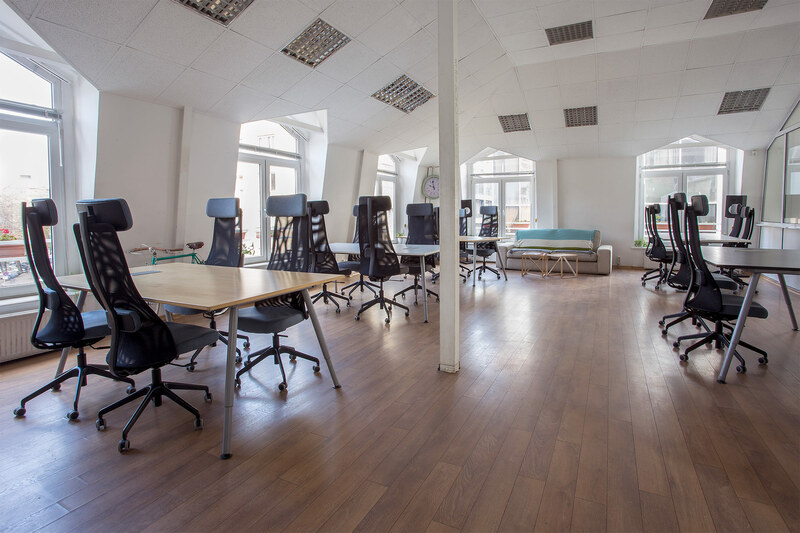 The conf rooms are enough and available for use but if you want to use them exclusively you have to book them upfront by email or directly in the Soho office. The people working here are bright and interesting you can (if you want) talk with them and learn very interesting stories. "The Cosiest Place for events in Sofia"
I have been organizing and attending events in SOHO for the last 4 years and I can say that for me it is surely one of the best places for events up to 50 people. It has amazing conference rooms, full equipment, and staff ready to support you anytime. All our guests have been very delighted and SOHO Sofia has become one of the most favorite locations of all 9 Academy participants. SOHO Sofia has an amazingly supportive and creative community which can always help you with your quests. If you are looking for a cozy, creative space where you can enjoy and work at the same time - this is your coworking space in Sofia. Great spots to eat, central neighbourhood. If you're into drinking water and stuff, there is a free public mineral water spring right about a 100m away. Be careful as it is fairly hot, so after you fill up you might want to let it sit for a bit before you take a sip. SOHO is right in the city center, so everything is near. If you are having a difficult time with choosing a place to eat or drink, you can grab a go guide (there are copies all around the house and in the office of the team). Go get a coffee or lunch in Fabrika Daga (great salads and sandwiches). Also Byufetŭ (delicious cuisine) !!! Don't get stuck working in one place! Move around and experience all the spaces SOHO has to offer! Don't miss to grab 'mekici' for breakfast or a nice salad/sandwich for lunch in Rainbow factory just down the street. They have the awesome coffee as well. Nice places in the area: The Muse Bar (post-work beers/rakia), At the mommies (cooked food), Skaptobara (for lovers of burgers and.. also beer), the Rainbow Factory - great coffee, tea, healthy food and banitza. The administration is on the top floor. Ideal centre, lots of good restaurants and barista nearby. There is a great pizza place right in front of SOHO on the other side of the street. check out the Rainbow factory & Soup Kitchen around the corner! Great coffee and food places around! Several nice lunch spots around to fit all budgets. Supa Bar and Supa Stars are great, fast, good quality soup, salad and sandwich places within a few minutes walk and there is also everything from burger restuarants, a great little italian restaurant and burritos/tacos within a small circumference. 5 mins from the central Serdika metro station also. 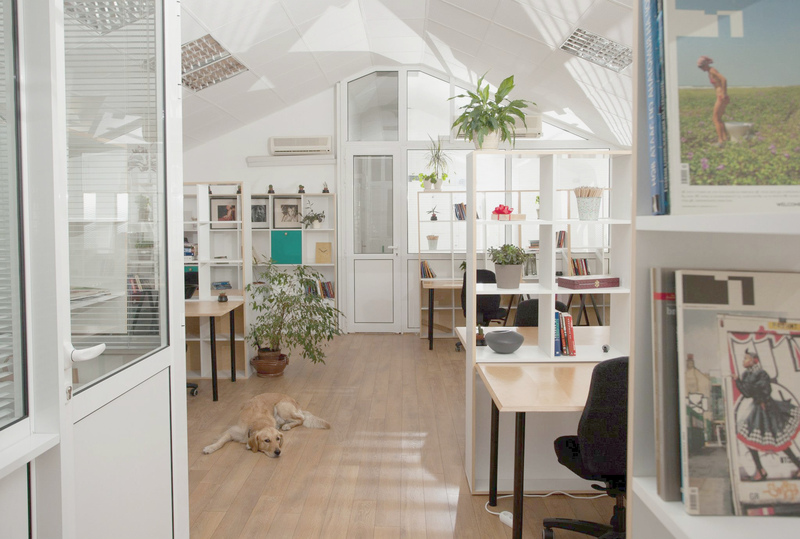 Cozy working place, Very social, Various events, Various exhibitions, Lovely dogs, Smiling people, Lots of fun. Make sure to check out all the good places around: Barista Coffee (amazing caffeteria), Fabrika Daga (amazing sandwiches), Supa Bar (amazing soups), Bio Darove (amazing bioshop), Kring (amazing vegan restaurant), Hapkata (amazing bbq to go), Flays Fitness (convenient gym). Walking distance from almost everywhere in the downtown, many nice places to have a lunch or outdoor meeting. Do not heat your brain with WiFi - use cancer-free cables! Do not miss the tasty "banitsa" baked and sold 50 metres down Iskar street. Fabrika Daga around the corner is an awesome place to eat and have coffee. 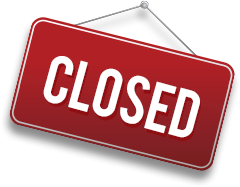 SOHO will be in touch with you soon to confirm. SOHO has received your membership enquiry and will be in touch with you soon.